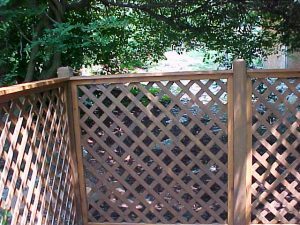 Choosing a Pool Fence | Pittsburgh Fence Co, Inc. Choosing a Pool Fence – Pittsburgh Fence Co, Inc.
With summer well underway, pool season is at its peak. If you haven’t fenced in your pool just yet, there is no better time than now. If you want to keep your children and pets safe, installing a perimeter fence will keep them secure from any potential dangers of entering the pool area unattended. The fence experts at the Pittsburgh Fence Company are here to help answer all your questions about installing a fence around your pool. Materials. There are several types of fencing materials to choose from. There are traditional chain link fences and the more decorative vinyl that come in an array of colors and styles. Choosing the right fence is up to you. Whether you are matching another perimeter fence constructed of wood or this is the first of its kind, we’ll help you choose the best one for your yard. Durability. When choosing a fence its best to consider one that is going to last for years and years to come. Fences are not cheap, but there are ones that are cheaply made. Aluminum fencing is a great choice for pools as the pool water will not tarnish the metal. Vinyl fencing is also a great choice if you want to add a bit of elegance with little to no maintenance. Height. In order to keep children and pets out of the pool area when you’re not around, the average pool fence height is typically 54 inches. Choose a height the is going to deter anyone from climbing or jumping over. Be sure to consider a secure locking mechanism as there are various locks that can be fitted to your design. While pool time is meant to be fun, pool owners should always practice pool safety. In most states or municipalities, pool fences are required by law. Children and pets may be prone to wandering near a pool, or worse. Don’t risk tragedy over cost. Call the Pittsburgh Fence Company for all your pool fence, residential and commercial fence needs. Located in Carnegie, PA, we service Allegheny, Beaver, Butler, Washington, and Westmorland Counties.